Hey guys, I’ve been playing a lot of PSVR this month, and it’s been a really awesome experience overall. • It’s definitely not good value for money. Getting the headset and new controllers will cost you almost as much as a new console, on top of needing to own a PS4. A lot of the games that are available are also quite short, so expect to burn through some cash. • Apparently the VR controllers are out of stock everywhere right now, so I haven’t had a chance to try them yet! For now I’m stuck with games that use the normal PS4 controller. • Many games will make you feel motion sickness instantly. In most cases you will quickly get used to it with some practice, but there’s some games that many people will struggle with. So depending on your tolerance, you may be limited to certain types of games. • If you love very high resolution and realistic graphics… you’re not going to get that here. The graphics on VR games are going to look at least one console generation out of date. Each eye only sees half of a 1080p screen! • Kids aren’t even allowed to play it! I’m assuming no company wants to accidentally discover the long-term health consequences of VR on kids. All of those points make it a hard sell for most people. But if you’re an adult who has money and only a limited amount of time to play games, then VR offers a huge variety of experiences to try out. So here’s some quick reviews of my favourite games so far. What I can say about all of these games is that they’re really immersive! When you put on the headset you really feel like you’re suddenly in a different location, and that’s a really cool feeling that can be exploited in many ways. This is a must-play game. 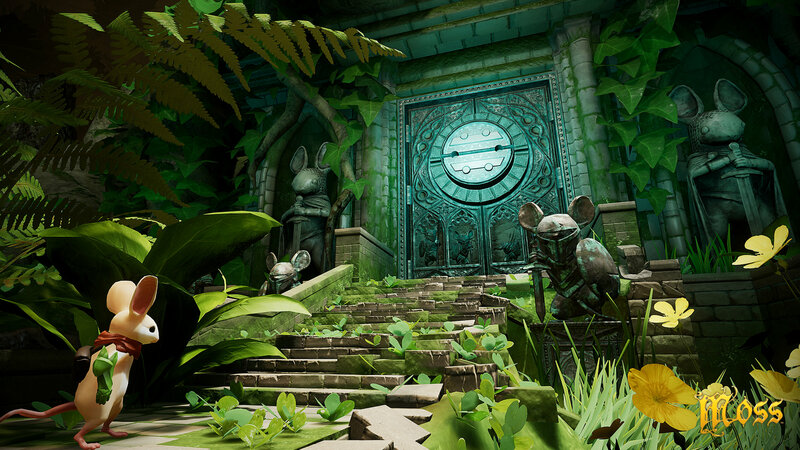 It’s basically a 3D Mario game, which surprisingly translates very well into VR. You are the camera, and the whole gimmick of the game is moving your head around to find secrets and to get different views of obstacles, while controlling your robot like you would with Mario. It’s a game that feels familiar and fresh at the same time, and is easy enough for anyone to try it. It really should have been a launch title, as it shows off what the new hardware can do – both the VR headset and the motion controls on the PS4 controller. I’ve historically hated motion controls in games, but we’ve come a long way since the Wii, and the hardware and game design makes great use of them. The music is also catchy as hell. I can’t recommend this game enough, but it’s really hard to explain why it feels so good to play this. It’s a sci-fi racing game in VR, and just like you’d expect, it will probably make you feel sick instantly. After a lot of practice, I can play it for a few hours now, but the dizziness never completely went away. It helps a lot if you only look forward – which is probably what you should be doing while driving anyway. About the game itself, well, it’s nothing too special. Since it’s essentially 3 games-in-one, there’s a ton of content, and it can keep you busy for a long time if you want. 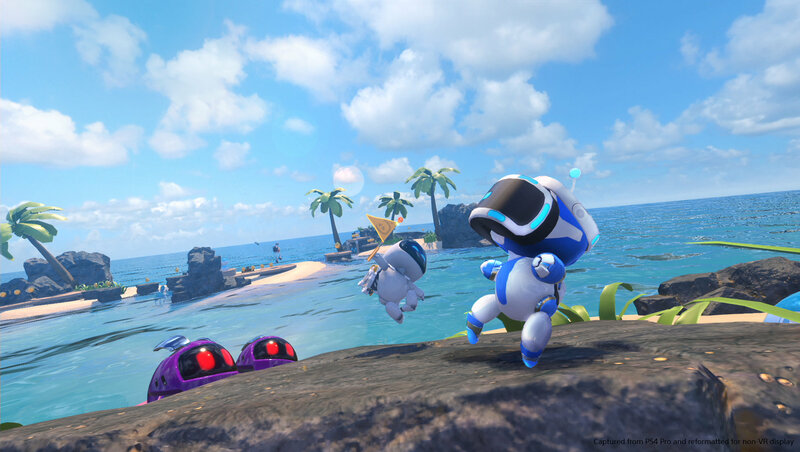 If Astro Bot is Mario, Moss is a lot like Zelda. There’s platforming, puzzles, hack and slash combat action, and a simple fantasy story. The animations and scenery are really cute, and you feel like you’re a giant that’s sitting in a comfy little mouse world. This game should cause you no nausea, since there’s no motion to speak of – you always sit in a fixed place on each map. That makes it another good title to start with. However, the game is really short. It honestly feels like half a game. It’s great fun while it lasts though. I was dared to play this one, but it turned into my favourite horror game ever. There’s a few janky moments where you are reminded that you’re playing a video game – like for example when you occasionally see your arms float around detached from your body because you’ve sat back further in your chair. But for the most part it works really well in VR, and all of the horror aspects are more exciting and immersive. The hiding segments feel especially natural, when you’re trying to peak around obstacles by moving your head around. The game difficulty is quite reasonable for a survival horror casual like me. The bosses are creative, the pacing is excellent, and there’s even a decent amount of humour in the game. Overall fantastic experience. Even if you’re too scared to play it yourself, it’s worth watching someone else play it. Here’s a sort of adventure game about dinosaurs. It’s quite a casual game – not far off from being a walking sim, but there is fair amount of simple puzzles and platforming. It’s all about exploring alien jungles, climbing cliffs, and scanning weird creatures, while being accompanied by your pet dinosaur and a helper robot. A nice little experience, but once again, this game is very short. I’ve also recently started Battle Zone and Here They Lie, which also seem to be very good games. This entry was posted in Game Reviews, Personal Life on January 24, 2019 by Matt Roszak. Wow. not even VR Chat. feels bad man. I believe children aren’t allowed to use things like vr and 3d on the 3ds because it will affect how their eyes develop. 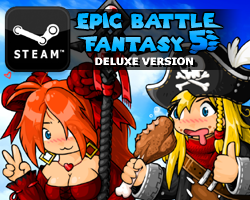 On the topic of consoles and games, you said at one point that you’d try to make the EBF5 port to mobile. Which I fully support, by the way. However, I’d also like to throw at you the idea of porting over to console as well. It would, in all likelihood, be very hard. But the end result would be… positively explosive, in my opinion. Just think of how many players that mainly play console. 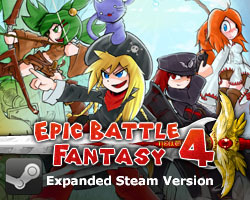 Now, imagine them playing the EBF5 port, ON CONSOLE. I personally think your series would spread like wildfire all over again. Another one you may want to port to console as well is BH2, and/or the potential future BH3. Good luck Matt, and Ronja, and thank you for the absolutely amazing content you’ve granted us so far. I hope to see you successful in going very far into the future with game development.